Accuquilt > GO! Die Storage Folders - 6" x 6"
GO! Die Storage Folders - 6" x 6"
This item is not available for purchase online. Please call 530-795-2580 to order. 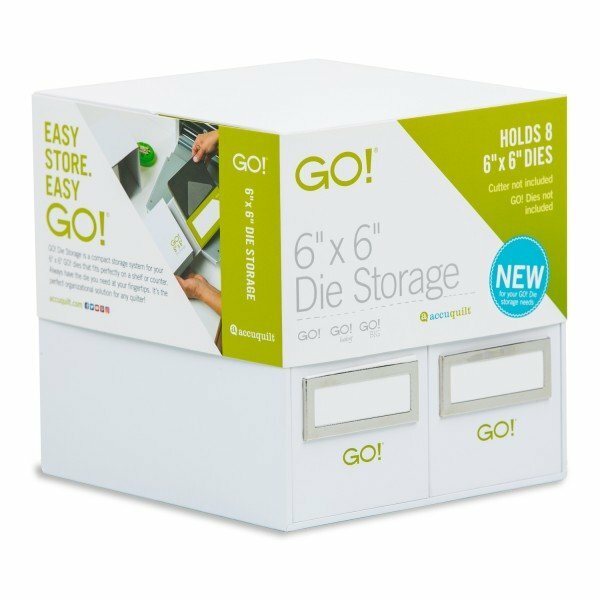 Keep your sewing area organized and your dies within reach with our GO! 6" x 6" Die Storage. These new storage systems for your GO! Dies fit perfectly on a shelf or counter keeping all of your GO! dies smartly organized! You will find labels for personalizing and ease of use plus the compact, stackable fit is perfect for any shelf or counter.